This is a new inventory of Knoll Currents cubicles and Knoll Morrison cubicles. These cubicles are a 9 out of 10 condition ( almost new). We currently have 139 of these in stock and they come in two sizes 6×8 and 8X6. Panels are 64″ tall and have an upgraded option of glass tackers included. 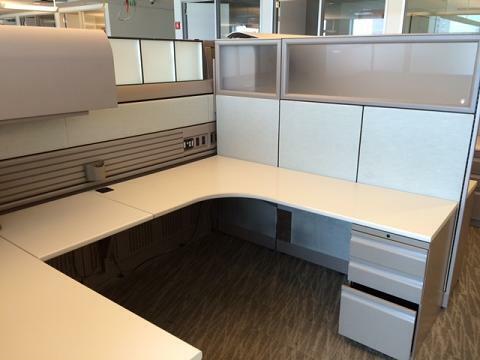 Each cubicle includes one box box file, one over head storage bin and more. Please email or chat online for immediate assistance.